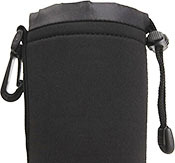 SMALL Lens Pouch - These Neoprene Lens Pouches are very lightweight and well padded. They help protect your valuable lenses. They have a draw-string with a quick-release button that lets you quickly open and close the pouch. Its walls are well padded, with extra bottom padding. 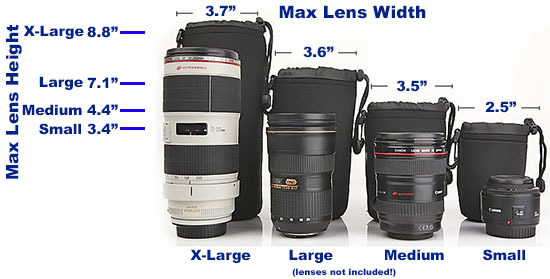 There are 4 different sizes that will accommodates most lenses. Attach it to your belt or camera bag strap or just toss it in your camera bag, luggage or backpack. 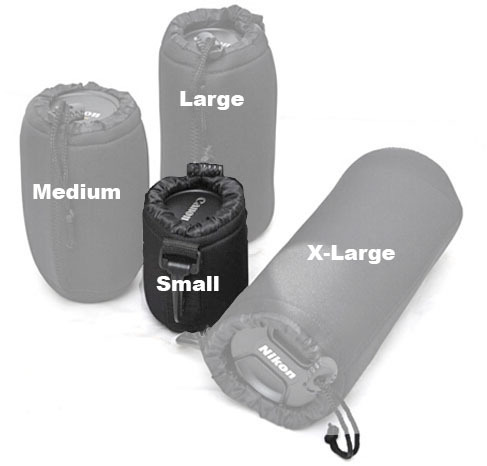 The Lens Pouches come in FOUR sizes - this is for the SMALL lens pouch.